Get an instant online price for a tiled Guardian Warm Roof, or contact us to see how we can help! Guardian Warm Roofs are the ideal replacement conservatory roof, where an existing system is no longer performing as it should. 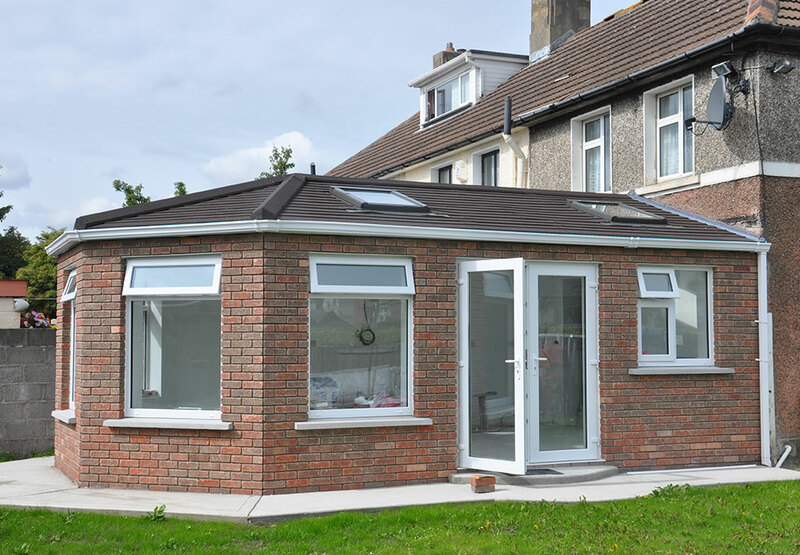 A conservatory or extension with sound frames and foundations does not need to be demolished. 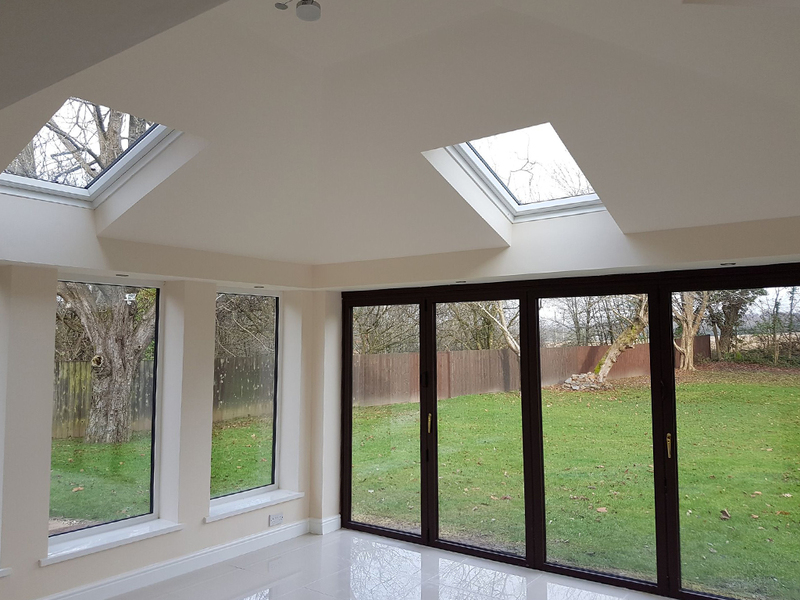 Instead, the A-Rated Home Improvements team can replace the existing conservatory roof with a modern and higher-performing alternative. 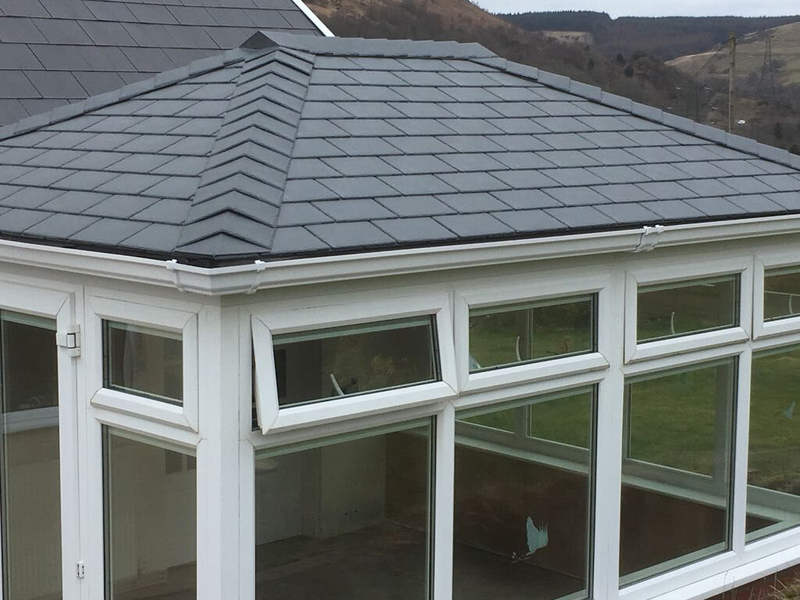 A Guardian Warm roof replacement conservatory roof can be installed quickly, thanks in part to its lightweight structure and intelligent design. Once our team has successfully completed all required installation work at your property, you’ll be able to regain all of that lost space and increase its market appeal and value. 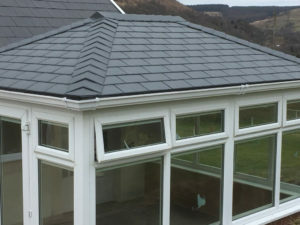 We install Guardian Warm Roofs for homeowners in Port Talbot and the South Wales area. Our systems are of the highest quality and will reward you with improved aesthetics and market-leading performance. Call the A-Rated Home Improvements team today on 0330 122 2937 or get fast online quote using our design app. A Rated Home Improvements offer our full supply and fit service throughout Swansea, Bridgend, Carmarthen, Llanelli, Porthcawl, Bishopston, Gowerton, Pontarddulais, Cardiff, Port Talbot. We do offer work outside of these areas, depending on project requirements. Please get in touch with us today for further details. Our Guardian Warm Roofs demonstrate how the industry has progressed since the popular rise of polycarbonate roofs, which used to be a popular option for homeowners. Lower U-values come as standard with each installation that we complete – and each Guardian Warm Roof has been cleverly constructed to reduce the time installers need to spend on site (which is good news for all parties involved in the process). Guardian Warm Roofs have been moulded to exceed, not just beat, the minimum requirements and recommendations made by existing building regulations. You’ll be able to enjoy market-beating U-values that are as low as 0.18 when you choose A-Rated Home Improvements. Lower U-values equate, of course, to better comfort. 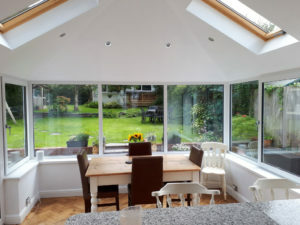 Your new conservatory or extension will be much more effective at retaining heat and blocking out the cold, which means its a room that can be used throughout the year and for almost any purpose. Why not contact us for details today. 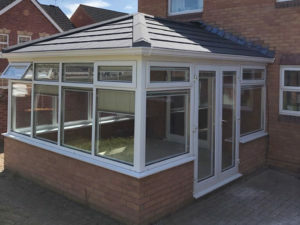 If you’re looking for a replacement conservatory roof option, you’ll have one main concern – will the system you’ve found be compatible with your existing structure? Conservatories and extensions come in range of shapes and sizes and not all roofs are designed to work with all building styles. 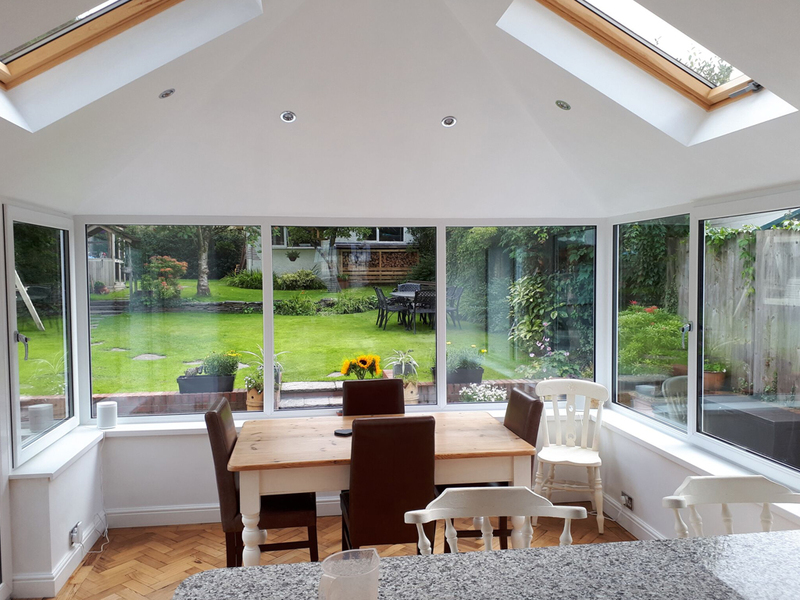 A-Rated Home Improvements chose the Guardian Warm Roof system because it has been carefully calibrated to work with all of the popular building shapes We can replace your existing conservatory or extension roof if you have a lean-to, Edwardian or P-shaped structure for example. 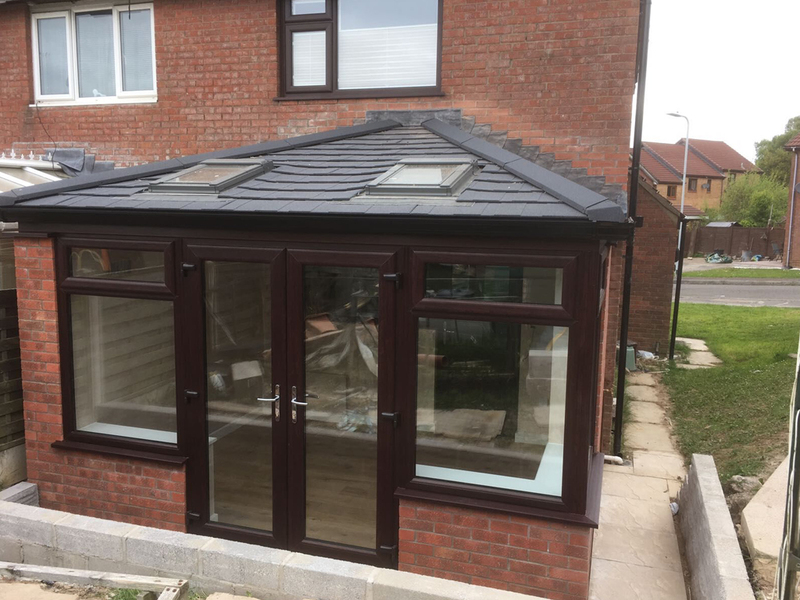 Guardian Warm Roofs can be colour-customised to suit your design preferences, while ensuring that your new structure complements the appearance of your home. 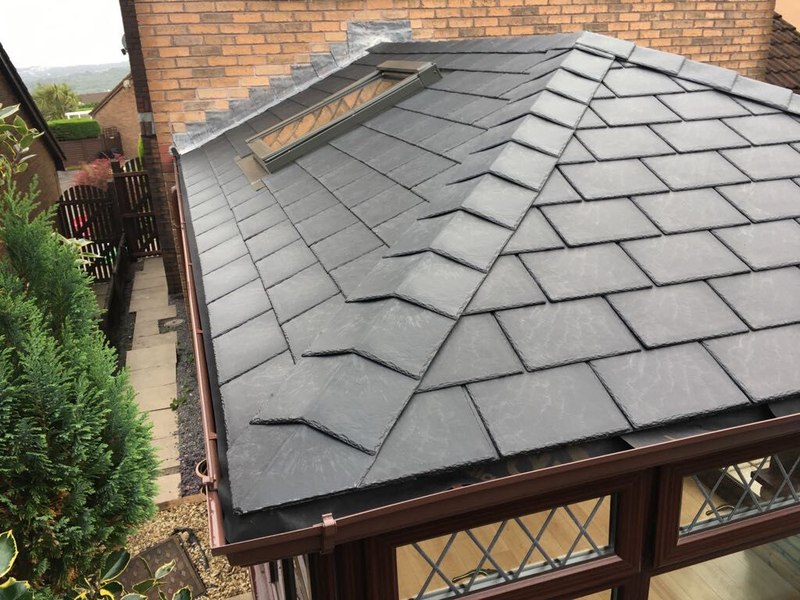 In addition to offering a choice of tile colours, we can also talk you through a wide range of options - including shingles, foils and glazing that will enhance your roof. 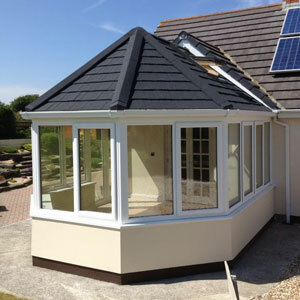 Use our conservatory roof design tool to get a fast online quote for your project. Answer a few questions about your design preferences to retrieve prices in minutes. That means you can buy from us with total peace of mind. Not only will you be working with a trusted Guardian Warm Roof installer, you’ll also be protected by a dependable 10-year guarantee that’ll come as standard with your purchase. The lightweight design of a Guardian Warm Roof means that it won’t put your structure at risk once fitted. No undue strain will be placed on your frames and foundations, which means that your chosen roof will satisfy building regulations. Talk to an experienced member of the Guardian Warm Roof team today by calling us directly on 0330 122 2937. You can also send us an email, in which case we promise to respond to your enquiry as a matter or urgency. 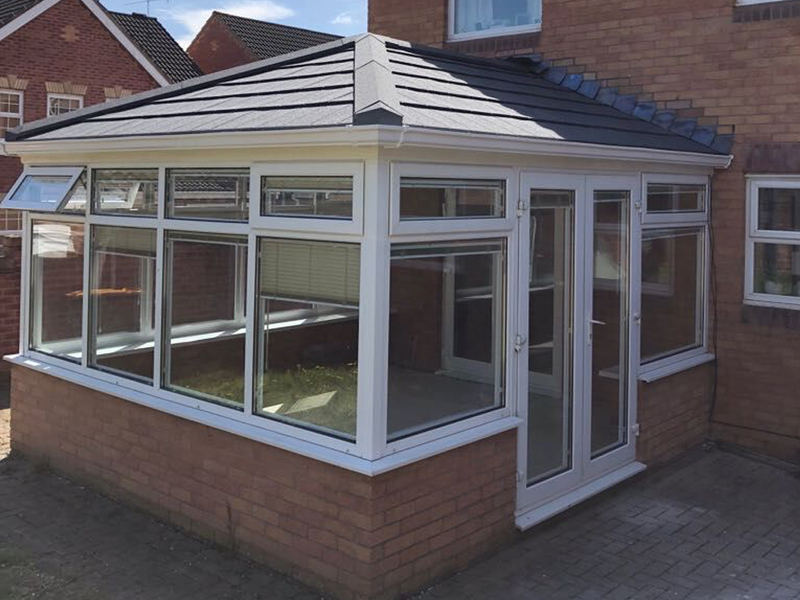 Get a quote quickly using our conservatory roof design app. Explore different design combinations and get a free no-obligation price for your project in a matter of minutes – using your mobile, tablet, laptop or home PC.